Enjoy Carol Higgins Clark's Books? Tell us Why and Win a Free Book! Welcome to Carol Higgins Clark's BookGorilla Author Page! 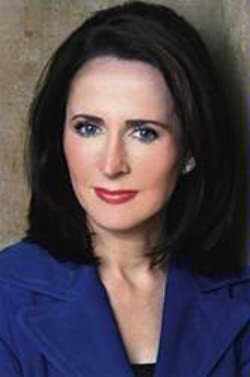 We're working hard to bring you the best deals ever on Carol Higgins Clark's Kindle books. If you’re a Carol Higgins Clark fan, we'd love to have your help in making this author page special. Tell us, in no more than 150 words, why you think Carol Higgins Clark is great. Use this webform to send us your submission, and if we select yours we'll offer you one of Carol Higgins Clark's books or a Kindle Gift Card as a free gift! Thanks! Please enter your email address and click the Follow button to follow Carol Higgins Clark! Carol Higgins Clark Boxed Set - Volume 1: This eBook collection contains Zapped, Cursed, and Wrecked. Three complete novels from the Regan Reilly mystery series: Zapped , Cursed , and Wrecked . Join Regan Reilly as she takes on NYC during a blackout, returns to LA to help a friend out of a jam, and tries to have a romantic anniversary weekend on Cape Cod with calamitous results in these bestselling novels!